Buscemi hooked up some Gourmet heat. They go perfectly with the carpet. When I wear them here in my office, I look like I’m floating around on ankles with no feet. 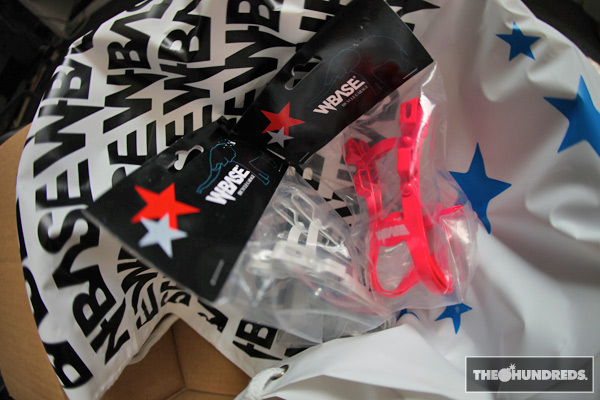 Yohei shipped us a box of W-Base t-shirts and toe clips all the way from Japan, this is all that was left by the time I remembered to take a photo. Guess who the hot pinks went to? 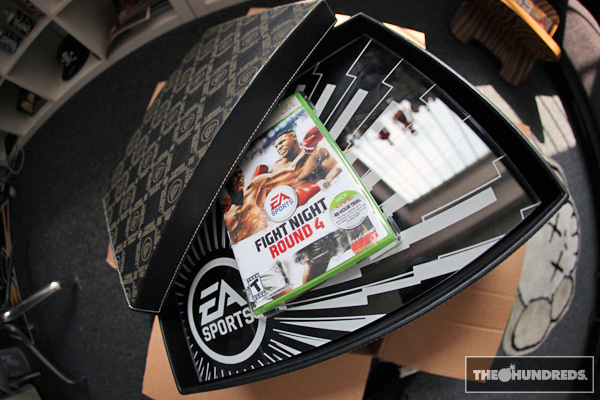 EA Sports’ Fight Night 4 came nicely packaged in a leather-bound box with a Reigning Champ zip-up hoody. Now there’s no excuse to play video games naked. King Stampede also sent Ben and I a massive crate of goodies, from tees to jackets and fleece. I don’t have a photo of it because it’s all tucked away in my drawers at home. Next to my stash of ninja stars and bumfight videos.